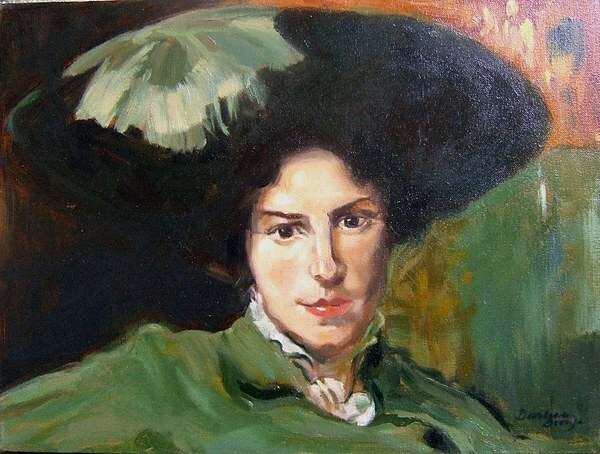 Lady With The Green Hat is a painting by Darlene LeVasseur which was uploaded on October 7th, 2010. Her eyes are mesmerizing. Very beautiful.